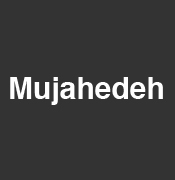 Mujahedeh ran away from her home in 2006, to escape daily beating for not agreeing to undergo a marriage to a man, old enough to be her grandfather. She took shelter in the facility provided by the Ministry of Women’s Affairs. Few days later, as she returned to her home after being comforted by relatives, her father murdered her.